Don't settle for your mortgage. Get the terms you deserve from Visions. With the No Closing Cost Mortgage from Visions, you get a low interest rate that stays the same for the first 10 years. And no closing costs* mean you save thousands right from the start. 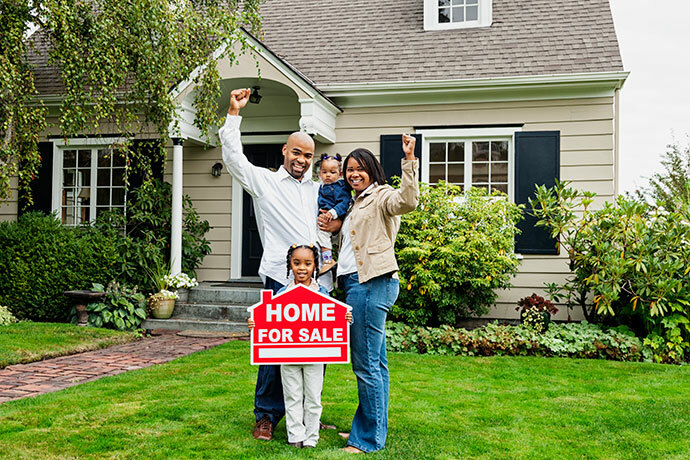 You purchase a home for personal stability and financial equity. It's a big investment, and one of the smartest you can make in your life. Visions understands the mortgage you commit to is just as important as the home you choose. There's the conventional fixed-rate mortgage that many consider, but did you know there are more options available than ever before? Options like the No Closing Cost Mortgage. 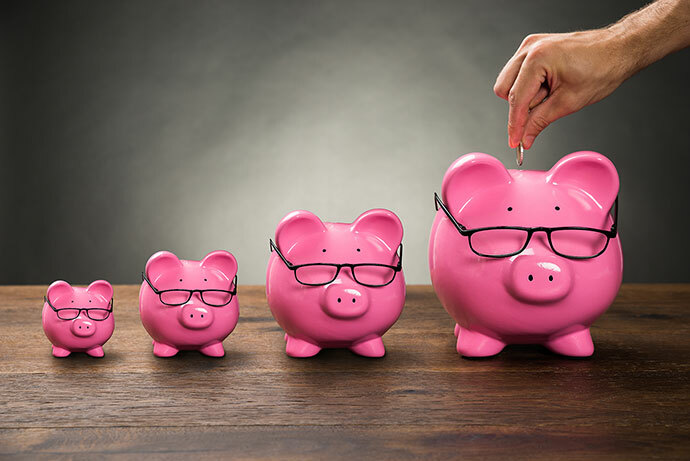 This 15-, 20-, 25- or 30-year loan starts with a low interest rate for a set term of 10 years and then adjusts in the 11th year and every 12 months for the remaining term. That adjustment in the 11th and subsequent years is capped at 2% above the market rate at the time, reducing the risk of monthly payment shock. This comes with a lifetime cap of 5%, giving you assurance that your rates – and bill – remain reasonable and predictable throughout the loan. Why choose an adjustable rate mortgage? Not only do you get a lower interest rate to start, there's also the possibility it could be even less at the end of the first 10 years. If not, you're still protected by our caps. Adjustable rate mortgages aren’t for everyone, though. You can trust our team to walk you through all the terms and conditions in an honest, easy-to-understand way. In fact, we promise to help get you the mortgage product that's right for you. Qualified Property - One- to four-family residential owner-occupied purchase money, refinances or construction. Purchase – one-family 95% of sale price (two-family 85% of sale price; three- to four-family 75% of sale price). Refinance – single family up to 80% of appraised value as "Cash Out." One-family – 90% of appraised value for "Limited Cash Out." Two- to four-family – up to 75% of appraised value as "Cash Out". Two-family – 85% of appraised value for "Limited Cash Out." Three- and four-family – 75% of appraised value for "Limited Cash Out." Escrow Account – Required when loan-to-value ratio is 80.01% or higher. If less than 80% loan-to-value ratio, is based on creditworthiness. PMI required when loan-to-value ratio is 80.01% or higher. Interest Rate Change – Rate remains constant for the first 10 years, then will change every subsequent year. Annual Cap – Rate cannot go up or down more than 2%. Floor Rate – Rate can never go below 3%. Proof of home owner's insurance is required. Visions will not subordinate or agree to the assignment of any oil/gas/mineral rights lease to a third party. The No Closing Cost Mortgage is exclusive to Visions members. To join, simply follow the instruction below. If you're not yet a member, see if you qualify and apply here. APR = Annual Percentage Rate. Credit union membership required with a $25 minimum deposit – certain restrictions apply. Check with a Visions Federal Credit Union representative for membership eligibility details. Promotion valid on the 10/1 Adjustable Rate Mortgage (ARM) product only. Applications are subject to standard credit criteria. New purchase or refinance. One- to four-family, owner-occupied, primary residence only. Maximum mortgage dollar amount funded is based on region and property value. Estimated savings of closing costs, which varies by geographic market and property, would be at least $3,370, including, but not limited to, the following costs: appraisal, flood determination, application fee, credit report, lender attorney fees, recording fee, title insurance, and mortgage tax. Borrowers are responsible for initial escrow setup, interim interest, owner’s title insurance, tax service fee, borrower’s attorney fees, survey, and private mortgage insurance, if applicable. Property insurance is required. Flood insurance may be required. This promotion is subject to change without notice (including the rate). Other restrictions apply. Rates are variable and can increase by up to 2% annually beginning in the 11th year, up to a lifetime rate adjustment of 5%. Rate increases are based on the index at the adjustment time plus the margin. Please speak with a representative for current rate information or visit visionsfcu.org/mortgage-rates. Cannot be combined with any other promotion or offer. Submit applications by Dec. 31, 2019. Visions Federal Credit Union is federally insured by NCUA. Equal Housing lender.